Picture: The Written on Tea restaurant in Sandy Bay. TTN, 12th June 2015: A Chinese caterer in Hobart responsible for catering a visit by the Chinese president has been caught underpaying a worker, suggesting that the worker’s poor English excused the underpayment. The Fair Work Ombudsman found the Written Tea restaurant owed one worker over $3500 for five week’s work. The case highlights the black market that exists in the hospitality industry as hospitality operators fail to administer fair wages. Catering and hospitality operations are subject to five different award wages for their workers (there is a Canteen Award in most states, for example), awards that then vary state to state. It is logistically very difficult for an operator – with for example, a university catering operation – to pay their canteen staff separately to their catering staff, their chefs differently to their waitresses. The complex wages system then makes more successful hospitality operations largely unscalable as operators struggle with wage and penalty wage differences state to state. For operators with English as a second language, for operators with limited accounting skills and for operators with limited resources, the complications of various awards make it nearly impossible to operate legitimately and profitably at the same time. Whilst many unscrupulous operators intentionally undercut labor law, many more simply choose to pay workers ‘off the books’ because ‘the books’ are too challenging. The case below highlights an operator that was caught after catering events for the Chinese president. Many hospitality operations keep their heads down and out of major media to avoid scrutiny – but secrecy, silence and shame are the opposite qualities of what is required for a thriving hospitality and tourism industry. A HOBART restaurant that helped cater for the visit of Chinese President Xi Jinping has been found to have underpaid a worker – because her English “wasn’t good enough”. Written on Tea owner ­Rebecca Lin Cong was caught by the Fair Work Ombudsman paying overseas workers between $10 and $11 an hour. 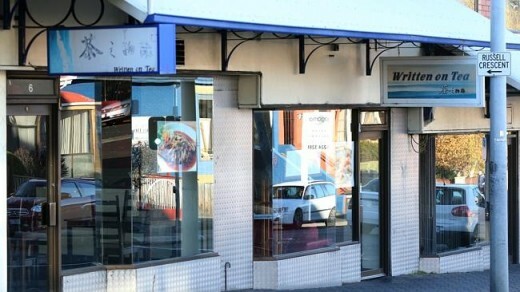 Ms Cong operates Written on Tea restaurants in Bathurst St, Hobart, and Sandy Bay Rd, Sandy Bay. 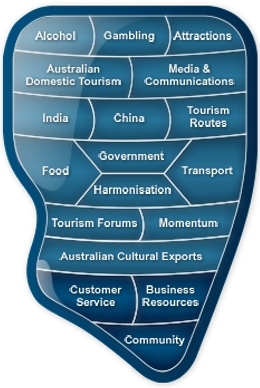 The restaurants shot to prominence last November when engaged to cater for staff and officials travelling with the Chinese President during his one-day visit to Hobart. “Ms Cong felt she was giving the employees an opportunity to work and earn an income and did not believe she should have to pay them full award wages,” Fair Work Ombudsman Natalie James said. A 30-year-old Chinese woman in Australia on a working holiday visa was short-changed $3500 in five weeks in February and March. The Fair Work Ombudsman investigated after a complaint from a former employee and found Ms Cong was paying well below lawful minimum entitlements. Ms Cong has been required to pay the worker all outstanding entitlements and signed an undertaking to encourage behavioural change and compliance with workplace laws. Ms Cong has agreed to employ an external professional to audit workplace practices over the coming 12 months and to develop systems to ensure compliance with workplace laws and to resolve all future workplace disputes promptly – and report details to the Fair Work Ombudsman. Workplace notices detailing the company’s breaches have been displayed in English and Mandarin at both restaurants. Ms James said employers could not undercut minimum wages because they did not think an employee was worth the money. “And those who think they can exploit vulnerable overseas workers in order to reduce business costs need to think again,” she said.